An artist’s impression of the new extension. A government tender requesting the provision of meals and construction of a new kitchen at Saint Vincent de Paul hospital for the elderly has been turned into a mega extension of the facility for the contract winners. The extension project at Malta’s largest residence for the elderly is expected to rake in tens of millions of euros in additional income for the winning private consortium, over and above what it will earn from the kitchen contract. The way the tender was formulated and awarded is being questioned within the industry. The project was shrouded in secrecy until a few weeks ago, when excavators started digging a vast site inside the hospital grounds to build the 500-bed extension. The consortium behind this project consists of James Caterers and another firm that forms part of the DB Group. 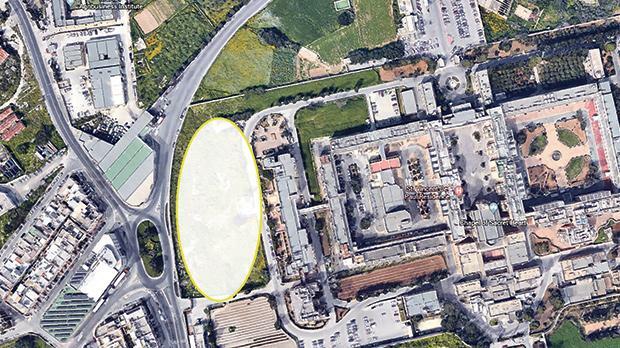 Industry sources told The Sunday Times of Malta that when enquiries were made about the project and how it had been awarded to the consortium, they were informed that it was a private-public partnership incorporated into a government tender issued in 2015 for a new kitchen and the provision of meals. An in-depth investigation carried out by the newspaper has raised questions about the way the tender was drawn up and the award process undertaken. So far, questions on the project and how it will be financed have been met by a wall of silence from the government. How did the extension project originate? In November 2015, the government issued a call for tenders for a private-public partnership (PPP) in the provision of comprehensive services to the St Vincent de Paul residence. The bid consisted of two main parts. The first was the provision of daily meals – breakfast, lunch and dinner – to the 1,100 residents at the facility and the 1,090 care professionals for a 10-year period. The tender also provides the possibility of being extended for another five years. The second part was the demolition of the kitchen at the facility and building a new one, together with the necessary equipment. This part of the tender was to be financed through the payments made by the government for the meals over the 10-year period. However, aside from the straightforward procurement, the tender document included an abnormal clause, to which the heaviest weight was given in the evaluation of the whole tender. Called “additional investment” (see box on next page) this proviso called upon bidders to provide a ‘gift’ to the government for winning this particular tender. Without making any specific reference to what was expected from the bidders, the clause stated that “such additional offer shall be of a type and nature compatible with the requirements of St Vincent de Paul”. The clause also specified that at the end of the contract (10 years with the possible extension of another five), this unspecified “additional investment will become the property of the government at no extra cost”. While the 213-page tender document was very specific on the requirements for the new kitchen and the meals to be provided by the winning bidder, including minute details such as the menus and the electrical switches to be installed, no details were provided on the ‘additional investment’ sought by the government. This lack of clarity immediately raised eyebrows among potential bidders. In fact, they raised this point during a clarification meeting held by the Contracts Department. The Sunday Times of Malta is informed that one of the potential bidders asked specifically that the additional investment be clarified. The bidder specified that this important aspect of the tender, on which most marks were reserved in the final decision of the evaluation process, should not be so “highly subjective”. However, the government refused to make any specific reference to what it was looking for by way of the additional investment, replying that the bidders were to refer back to the tender. 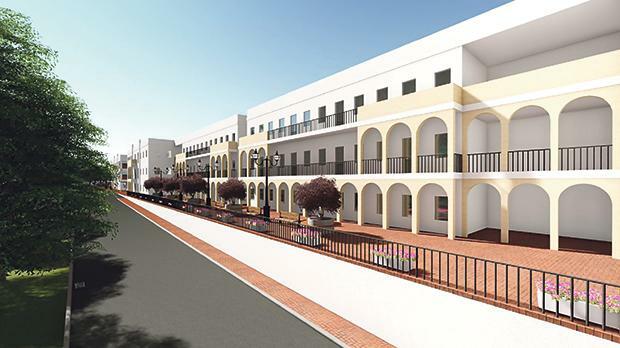 Two separate bids were submitted, one from CCE joint venture, mainly owned by the Vassallo Group, and another by the JCL and MHC Consortium, a joint venture between James Caterers and Malta Healthcare Caterers Ltd. MHC is partly owned by the DB Group, owners of the Seabank Hotel and now of the highly controversial and contested ITS project in St George’s Bay. The JCL-MHC consortium was also the incumbent, as it was already providing meals at the government facility. When the technical details of the competing bids were opened, the Vassallo Group consortium had the cheapest offer, asking for €12,959 a day for a total value of some €47.3 million over 10 years. On the other hand, the JCL-MHC consortium asked for €15,760 a day or nearly €58 million over the 10 years. Despite the difference in price, the tender was awarded to JCL-MHC. And it appears what tilted the scales in favour of the winner was the unspecified additional investment. The Vassallo Group consortium offered, as the additional investment, some €11 million in services related to healthcare – which at the end of the day must be financed from the total value of the government tender. That is, JCL-MHC offered a substantial gift as the additional investment. This is in the form of a 500-bed extension on the St Vincent de Paul grounds – all government property – with two new blocks. The investment is claimed to reach €30 million, or half the value of the original contract for meals and a new kitchen. Industry sources told The Sunday Times of Malta it was evident the additional investment clause in the contract had made all the difference. “It’s unheard of that a contract for the provision of meals and a kitchen has been transformed into a situation where the winning consortium will now be providing two whole new blocks hosting an additional 500 patients,” the source said. “There should have been a new tender for the extension, which is a mega project in itself. Something, somewhere is very wrong, even though the government wants people to believe it is all legitimate,” the source argued. Asked specifically to explain how a kitchen and meals tender had developed into a mega project, the parliamentary secretariat responsible for St Vincent de Paul, headed by Anthony Agius Decelis, refused to enter into specific details, stating that “the extension of the facility is the result of a PPP tender”. The tender was issued during the time when parliamentary secretary (now Minister for Gozo) Justyne Caruana was responsible for the residence. At the same time, the government is refusing to specify who will now be financing the service to be provided in the new extension and what will happen during the 10-year period in which the facility being built on public land will be owned by James Caterers and the DB group. An industry source claimed it was “obvious” that the winning consortium had designed their additional investment in such a way that, apart from recouping the several millions they would be forking out for it, they would also reap extra revenue in the form of the additional meals to be provided (500 each day), care services and the management of the new extension they will be building. This, the source estimated, would mean the winning consortium raked in many millions over and above the €58 million value of the tender. The Sunday Times of Malta is informed that despite concerns over this “dubious” tender being raised by members of the industry, both with the government and the Chamber of Commerce, no challenge in court or a request for an investigation has yet been made. Surprisingly, the Vassallo Group consortium did not appeal the award of the contract in the end. When are the new facilities to be built by the private consortium expected to be ready and start being used? Who will own the new facilities until the end of the 10-year contract – the government or the private consortium? Who will manage the new facility and provide the necessary care and ancillary services until the end of the 10-year contract – the government or the consortium? Until the date when the facilities will become government property according to the contract (CT2009/2015), will the government or any of its agencies be paying any fees to the consortium for the new facilities? If so, what are the fees? Who will be providing the catering services to the additional 500 patients to be hosted in the new facilities? Will a new tender be issued? At what price will the new required meals be offered? Can the government provide a copy of the contract signed with the winning consortium in November 2017? “The tenderers shall also include the provision of an additional offer over and above those established as mandatory in the tender document and this at no additional cost to the government. “St Vincent de Paul is an entity that provides care for higher dependent residents with complex medical and nursing needs in huge numbers. It is the only long-term facility to provide such services in Malta. The entity is challenged with an [ever-increasing] demand due to various longevity factors which is resulting in growing number of older people with an increased level of dependency due to improvements in care and technology. “The entity must be well equipped with the infrastructure, modern technology and supporting services to successfully accomplish its business scope. “The added investment should be able to enhance this type of care at SVP. Such additional offer shall be of a type and nature compatible with the requirement of St Vincent de Paul. “Due consideration should be given to SVPs role and shall be described in detail in the tenderer’s offer. “Offers shall also be fully costed at market price and certified by a warranted independent auditor in order to enable the government to be in a position to confirm the market price of item being offered. “At the end of the contract agreement the additional investment shall become the property of the government at no extra cost.